Bully Sticks are 100% natural (real) dried beef muscles that will truly keep your dog busy for hours, unlike other products that falsely claim to do so. For the most part bully sticks are low-odor to odor-free (depending on the batch, an odd few may retain their beefy smell), reasonably priced, made in the USA, come in a variety of sizes for a variety of dogs, and do not contain rawhide. Their only downside is that of any bone or dog toy—once a dog starts gnawing on it once can expect a bit of a slimy, sticky Bully Stick mess. Bully Sticks come in the following lengths: 7 inches, 12 inches, and 24 inches. The latter length is for large breeds while the first is for small dogs. The 12 inch length is for mid-sized breeds. In other words, Bully Sticks can be given to a dog of any size mature enough to handle chewing bones. However, monitor the younger ones (or dogs given a bully stick for the first time) to ensure they do not choke. Leaving a Bully Stick in your dog’s crate is not recommended. 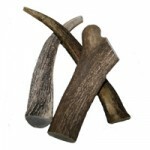 As the bone wears it breaks apart into smaller, white fibers that a dog can then eat. However, due to amount of work it takes a dog to pull a fiber off, the bone can quickly become slimy and messy. Combine this with the small confines of a crate and one is asking for a big mess, and for an excuse to bathe their dog. Instead, have the dog eat the Bully Stick on an old towel. This makes cleanup easy, as the towel only needs to be washed. There is no worry about cleaning floors or finding odd pieces around the house. Alternatively, a Bully Stick would be a perfect treat for outside. 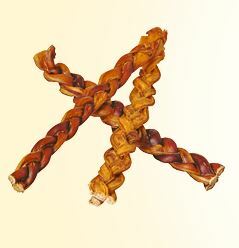 Individual Bully Sticks may seem a bit pricey at first, as the largest size costs up to fifteen dollars. However, they are almost guaranteed to keep your dog busy for hours on end. 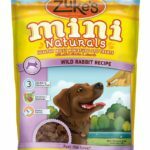 They are treats that your dog may gnaw on for a few days. Compare this with the typical price of a box of Milk Bones or training treats, and the cost can be well justified. When giving a dog bones take into account their typical diet. 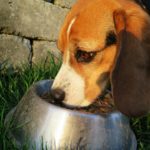 Overfeeding can lead to obesity, an issue that presents numerous other challenges for owners. Getting a pet to gain weight is relatively easy, while getting a pet to lose weight is hard. 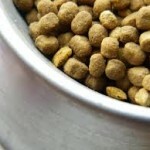 Don’t underfeed your pet, but monitor your pet’s food intake to prevent this problem before it starts. One can give their dog occasional treats such as a Bully Stick as long as they do not overdo it. One must make sure that the Bully Stick is of reasonable size for their pet as well as the increments in which any kind of food is given to their pet. After all, a healthy dog is a happy dog. Obesity can significantly decrease the life of a beloved pet.